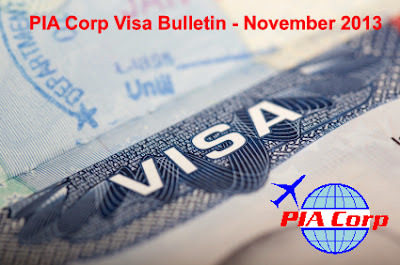 PIA Corp November 2013 Visa Bulletin is now out! Check out the latest updates about immigration and related topics about Canada, Australia and New Zealand. If you are a Filipino Registered Nurse and is wondering how to be an immigrant in Australia the EASY WAY, Proactive Immigration Advisers - RPS Migration Services can help you! The first step to become an Immigrant in Australia as a Nurse it to take the Bridging Program (Initial Registration Course for Overseas Nurses). This course is designed to provide you with the knowledge, skills and understanding to practice safely and competently in a variety of health care settings. On successful completion of this course, graduates will be eligible to apply to the Australian Health Practitioner Regulation Agency (AHPRA) for registration as a Registered Nurse. settings in Australia such as: acute care, chronic care, aged care, rehabilitation and mental health. Health care settings include hospitals, aged care facilities, disability services and rehabilitation clinics. Getting a job in Australia as a nurse depends on the qualifications of the candidates and how they perform during the selection process. Proactive Immigration Advisers - RPS Migration cannot assist applicants in finding jobs but can assist in their visa once they get an employer. Interested? Send your resume to australia@proimmigrationadvisers.com. Jobs for Pinoy Nurses in Australia? According to this report, the Philippine Overseas Employment Administration (POEA) is eyeing job opportunities in Australia in 2012 for nurses and skilled workers. POEA Administrator Carlos Cao, Jr. said Filipinos should take advantage of the shortage of workers in Australia which might be beneficial for Filipino nurses and construction and mining workers. Labor Attache Jalilo Dela Torre of the Philippine Overseas Labor Office (POLO) said the shortage of nurses in Australia is 40,000 until 2015. On the other hand, the shortage in the construction industry is projected upward to 750,000 construction positions over the next 20 years, she said. This is good news. But the reality is that Filipino Nurses are required to undergo a bridging program in Australia before skills assessment. Without this, they can't apply for Skills Migration program and can't work as a nurse. Undergoing a bridging program is costly. Unless changes in the Skills Assessment for Filipino nurses would be implemented, this POEA target may never materialize. In Australia, migration agents must be registered with the Office of the Migration Agents Registration Authority. Registered Migration Agents are bound by a Code of Conduct and are required to have an in-depth knowledge of Australian migration law and procedure and meet high professional and ethical standards. If you are planning to apply for Australian Visa, it isn't required to have a Migration Agent. But if you are planning to get help from a Migration Agent, make sure that the agent you are dealing with is duly registered with Migration Agents Registration Authority (MARA). Proactive Immigration Advisers (PIA Corp) is the authorized Philippine representative of RPS Migration Services, headed Renante Sulit. 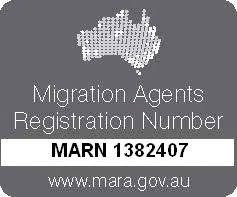 He is an Australian Registered Migration Agent with MARN 1382407. 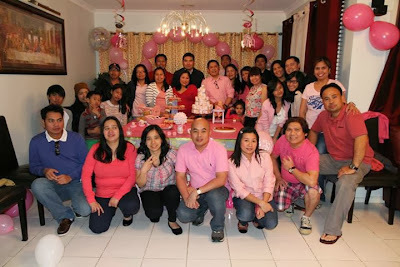 Pinoy 2 Australia is owned and operated by Proactive Immigration Advisers Corp.